1968 Elroy Face ties Senators' legend Walter Johnson's major league mark for appearances with one team when he enters a game for the 802nd time for the Pirates, replacing Steve Blass, who remains in the contest in left field. 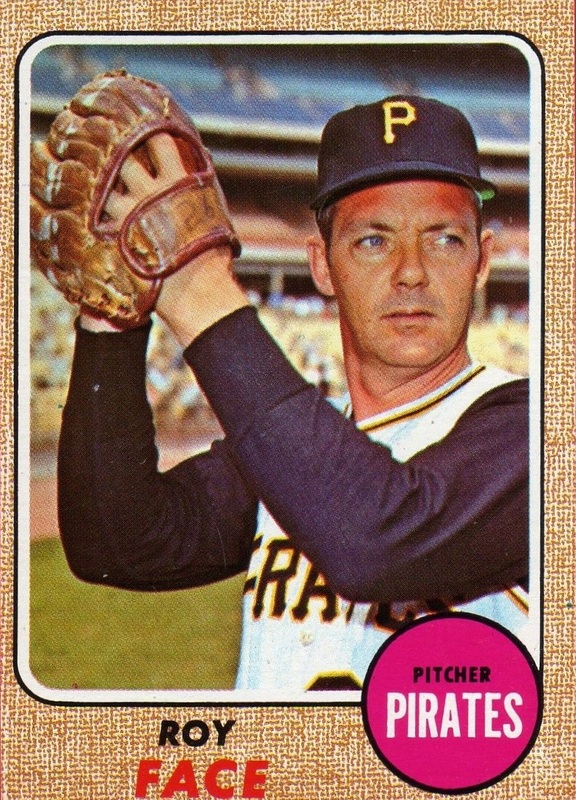 After the reliever retires one batter to equal the record, Blass returns to the mound, and an announcement will be made before the final out is recorded in Pittsburgh's 8-0 victory over Atlanta that the Bucs' right-handed veteran has been sold to the Tigers. 2008 In his his complete game effort against the Pirates, C.C. Sabathia gives up only a questionable infield hit to Andy LaRoche in the fifth inning of the Brewers' 7-0 victory at PNC Park. 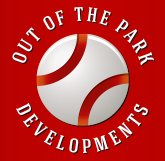 The club plans to forward a DVD of the play to Major League Baseball hoping somehow official scorer Bob Webb, the only person allowed to reverse his own call according to the rule book, can be convinced to change the scoring of the grounder to the mound to an error. The call was not overturned. 2011 In a stretch-run trade with Pittsburgh, the Braves acquired Matt Diaz for a player to be named and cash considerations. The 33-year old outfielder, who played with Atlanta for five years, left the organization after the 2010 season when he inked a two-year, $4.25 million free-agent deal with the Pirates. 1890 On Labor Day at Brooklyn's Washington Park, the Bridegrooms, later to be known as the Dodgers, win all three games against Pittsburgh in the first tripleheader ever played. The home team sweeps the visiting Alleghenys, who will be renamed the Pirates next season, 10-9, 3-2, and 8-4.
the Phillies at Three Rivers. The lineup includes infielders Al Oliver (1b), Rennie Stennett (2b), Jackie Hernandez (ss) Dave Cash (3b) and outfielders Willie Stargell (lf), Gene Clines (cf), Roberto Clemente (rf) with Dock Ellis (p) and Manny Sanguillen (c) making up the battery. 1975 When he whiffs Pirate Manny Sanguillen in the seventh inning of the Mets' 3-0 victory, Tom Seaver becomes the first pitcher to strike out at least 200 batters in eight consecutive seasons. The victory is also 'Tom Terrific's' 20th of the season making it the fourth time in his career he has reached that plateau. 1972 With his 2,971st hit in a Pirates uniform, Roberto Clemente breaks Honus Wagner's record for the most hits in the history of the franchise. The historic blow is a three-run homer off Giant hurler Sam McDowell in the bottom of the fourth inning in an eventual 6-3 victory for the Bucs at Three Rivers Stadium. 2006 The Pirates extend their franchise record consecutive losing season streak to 14 as the club drops their 82nd game of the season to Chris Carpenter and the Cardinals, 3-1. The 1933-1948 Phillies own the big league record finishing with a losing record for 16 straight seasons. The losing streak would continue till 2013 when the Bucs finished 94-68. 1894 Taking over for the fired manager Ned Hanlon, Connie Mack leads the Pirates to a 22-1 rout of his former team, the Washington Senators. 2006 In the opener of a doubleheader at Citizens Bank Park, Philadelphia's Ryan Howard belts three home runs bringing the first baseman's total to 52. The sophomore slugger, the 24th major leaguer to reach the milestone, becomes the first Phillies player to hit 50 home runs and passes Ralph Kiner, who hit 51 for the Pirates in 1947, for the most homers hit by a second-year player in big league history. 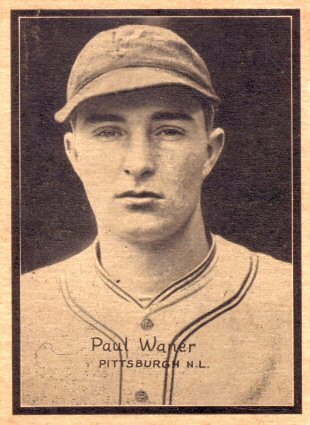 1927 Pirate teammates Lloyd and Paul Waner become the first pair of brothers to both homer in the same game when they go deep in the team's 8-4 victory over Cincinnati at Redland Field. The siblings, who will also accomplish the feat in 1929 and 1938, each hit a bounce round-tripper. 1978 In his first major league at-bat, Dorian Boyland strikes out sitting on the bench. The Pirate rookie is removed with a 1-2 count when the Mets make a pitching change and pinch hitter Rennie Stennett takes the third strike. 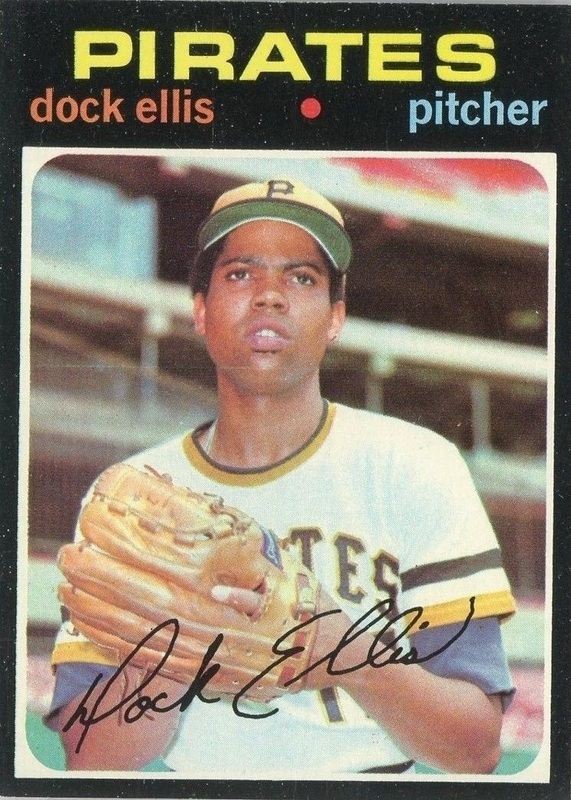 1960 At the age of 41, Diomedes Olivo makes his major league debut, pitching in relief for the Pirates. The oldest rookie in National League history hurls two scoreless innings against Milwaukee at Forbes Field. 2009 In the seventh inning of the Pirates' 2-1 loss to St. Louis at PNC Park, Ross Ohlendorf strikes out the side on nine pitches becoming only the 41st pitcher in major league history to accomplish the feat. The 27-year old right-hander's victims during his immaculate inning include Redbirds Kevin Greene, Julio Logo, and Jason LaRue, all who are retired at first base after swinging at pitches in the dirt. 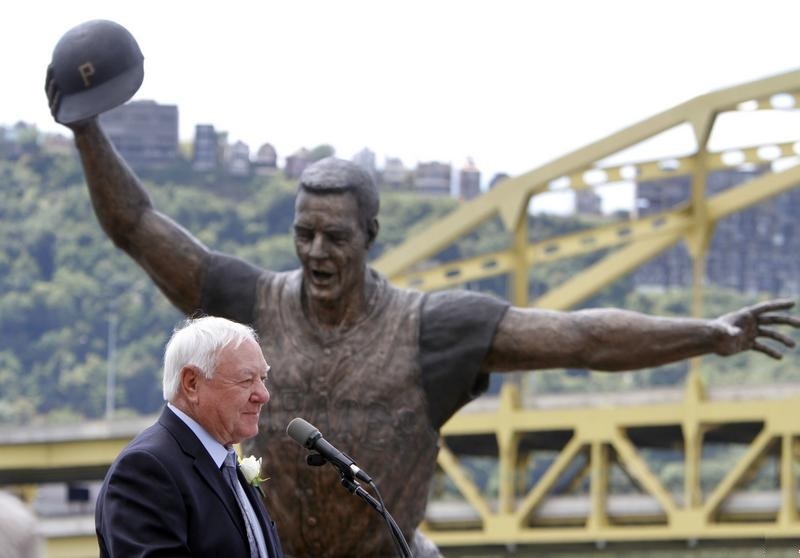 2010 Bill Mazeroski looks on as four of his Pirates teammates unveil a 14-foot, 2,000-pound statue commemorating his walk-off home run in Game 7 of the 1960 World Series. The work includes an actual section of the left-center field wall which the second baseman homered over at the 406 mark off Yankee hurler Ralph Terry in the Pirates’ 10-9 victory. 1968 Jerry Koosman sets a new franchise mark for victories getting his 17th win of the season when the Mets beat Pittsburgh, 4-1. The rookie southpaw breaks the team record established last year by Tom Seaver. 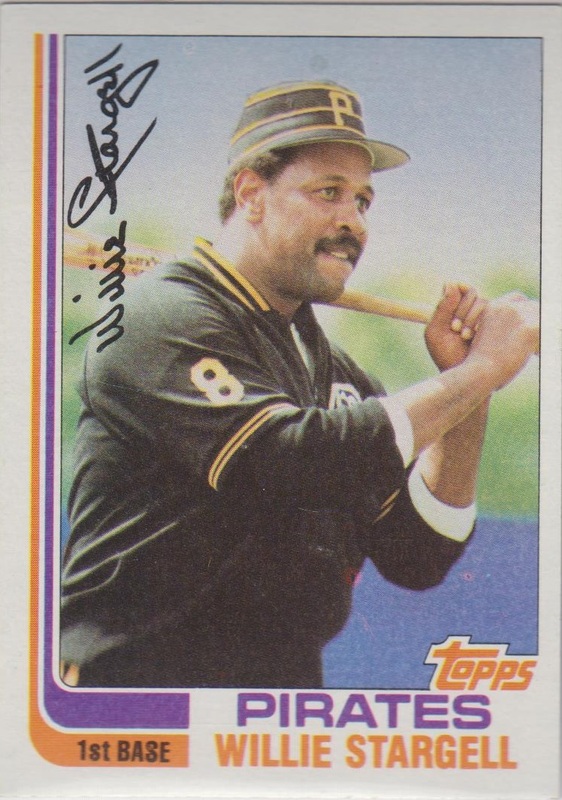 1982 Willie Stargell’s uniform jersey #8 is officially retired by the Pirates. 2005 At an afternoon press conference at PNC Park, Pirates General Manager Dave Littlefield announces manager Lloyd McClendon has been dismissed. The former skipper, who compiled a 336-446 record during his 3+ year tenure in the Bucs dugout, will be replaced by bench coach Pete Mackanin on an interim basis for the remainder of the season.